This appears to be a completely normal WASP-y guy. 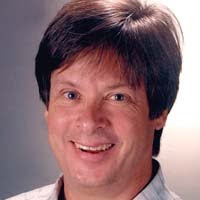 But no one makes me laugh like Dave Barry. His Pulitzer Prize-winning take on aging, politics, music, and bowel movements will resonate. It will. My favorite is always his Year in Review. And 2009 was a doozy. Sample? "The stock market hits its lowest level since 1997; this is hailed as a great investment opportunity by all the financial wizards who failed to let us know last year that the market was going to tank. California goes bankrupt and is forced to raise $800 million by pawning Angelina Jolie." He's also written some hi-larious books. Sometimes it's better if you don't get the Christmas gift you wanted. I'll leave it at that. Birmingham, Alabama is known for trees, holding up your pants with a Bible belt, and a debilitating love for college football. Not necessarily in that order. We aren't really known for folks who go on to become super famous. But we should be. There's some talent in these here parts. Matthew Mayfield being one such talent. He reminds me of Peter Gabriel blaring from a boombox hoisted high. And for a limited time, you can download his EP Maybe Next Christmas at his website. It's well-worth the email address. This song, So Long, So Long is included. I love Dave Barry and did not know he was writing his regular column again! (Didn't he take a hiatus awhile ago?!) This is very good news! Ok, that kinda gave me some flashbacks of Chuckie. MD: I know...it's not warm and fuzzy.